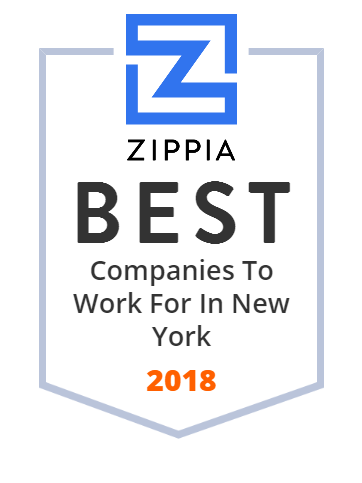 We hand-curated a list of the best companies to work for headquartered in and around New York, NY using data on salaries, company financial health, and employee diversity. The Bank of New York Mellon Corporation, which does business as BNY Mellon, is an American worldwide banking and financial services holding company headquartered in New York City. It was formed on July 1, 2007, as a result of the merger of The Bank of New York and Mellon Financial Corporation. It is the world's largest custodian bank and asset servicing company, with $1.9 trillion in assets under management and $33.3 trillion in assets under custody as of December 2017. Moody's Corporation, often referred to as Moody's, is an American business and financial services company. It is the holding company for Moody's Investors Service (MIS), an American credit rating agency, and Moody's Analytics (MA), an American provider of financial analysis software and services. Brown Brothers Harriman & Co. (BBH) is the oldest and one of the largest private banks in the United States. In 1931, the merger of Brown Brothers & Co. (founded in 1818) and Harriman Brothers & Co. formed the current BBH. Assets Under Custody $4.2 trillion, September 30, 2016. Fortress Investment Group is an investment management firm based in New York City. Fortress Investment Group LLC was founded as a private equity firm in 1998 by Wesley R. Edens, Rob Kauffman, and Randal Nardone. When Fortress launched on the NYSE on February 9, 2007, it was the first large private equity firm in the United States to be traded publicly. As of June 30, 2016, the firm managed approximately $70.2 billion alternative assets in private equity, liquid hedge funds and credit funds. The Guardian Life Insurance Company of America is one of the largest mutual life insurance companies in the United States. Based in New York City, it has approximately 8,000 employees in the United States and a network of over 3,000 financial representatives in more than 70 agencies nationwide. It currently ranks 254th on the Fortune 500 list of largest corporation in the United States. In 2015, Guardian achieved the highest earning in its 155-year history with $7.3 billion in capital and $1.5 billion in operating costs. Founded in Manhattan in 1860, the company offers a wide range of insurance products and services, including life insurance, disability income insurance, annuities, investments, dental, and vision. Berkadia, a Berkshire Hathaway and Jefferies Financial Group company, is a leading multifamily investment sales advisor, mortgage banker and loan servicer. Montefiore Medical Center, in the Norwood section of the Bronx, New York, is a teaching hospital of the Albert Einstein College of Medicine. Jefferies Group LLC is an American multinational investment bank and financial services company that is headquartered in New York City. Pillsbury is a full-service law firm with an industry focus on the energy and natural resources, financial services including financial institutions, real estate and construction, technology, and travel and hospitality. Structure Tone is a global leader in construction management and general contracting. The Structure Organization proudly includes LF Driscoll, Pavarini McGovern, and Govan Brown, and has 16 offices located across the US, UK, and Ireland. Simpson Thacher & Bartlett LLP is an international law firm headquartered in New York City, employing over 900 attorneys in eleven offices worldwide. The firm specializes in a variety of areas in both litigation and corporate practices, with a focus on mergers and acquisitions. It is among the most profitable large law firms in the world on a per-partner basis according to the American Lawyer's annual AmLaw 100 Survey. Simpson Thacher had a gross revenue of approximately $1.4 billion in 2017 with an estimated profits per partner of $3,485,000. Proskauer Rose LLP (formerly known as Proskauer, Rose, Goetz & Mendelsohn, LLP) is an international law firm headquartered in New York City. The firm was founded in 1875 and currently has thirteen offices worldwide. Linklaters LLP is a multinational law firm headquartered in London. Established in 1951, Paul Hastings has grown strategically to anticipate and respond to their clients' needs in markets across the globe. They have a strong presence throughout Asia, Europe, Latin America, and the US Their innovative approach and unmatched client service has helped guide their journey to becoming one of the world's leading global law firms in such a short time. McKinsey is a global management consulting firm that serves a broad mix of private, public and social sector institutions. They help clients make significant and lasting improvements to their performance and realize their most important goals. With nearly a century of experience, they have built a firm uniquely equipped to this task. Burson-Marsteller is a global public relations and communications firm headquartered in New York City. White & Case LLP is an international law firm based in New York City. Towers Watson & Co., a professional services company, provides human capital and financial consulting services worldwide. The company s Benefits segment offers actuarial and consulting services for large defined benefit and defined contribution plans, such as consulting on plan design, funding, and risk management strategies; and plan management consulting services through the health and group benefit programs, including health, dental, disability, life, and other coverage. This segment also provides pension outsourcing services; and international human capital management services, related benefits, and compensation advisory services. Its Exchange Solutions segment offers primary medical and ancillary benefit exchange services to retirees and pre-65 individuals through its proprietary group to individual technology platform; group benefit exchanges to the active employees of virtually any employer; and a suite of health and welfare outsourcing services. This segment uses its software as a service based technology and related services to deliver consumer-driven health care and reimbursement accounts, including health savings accounts, health reimbursement arrangements, and other consumer-directed accounts. The company s Risk and Financial Services segment provides risk consulting and software to the insurance industry, as well as to the corporate clients to their insurance and risk management needs; and investment advice and solutions in the areas of risk assessment, asset-liability modeling, strategic asset allocation policy setting, manager selection, and investment execution to pension funds and institutional investors. Its Talent and Rewards segment offers executive compensation, rewards, talent, and communication advisory services; and data, surveys, and technology solutions comprising benchmarking data, employee surveys, and human resource software solutions. Towers Watson & Co. was founded in 1865 and is based in Arlington, Virginia.